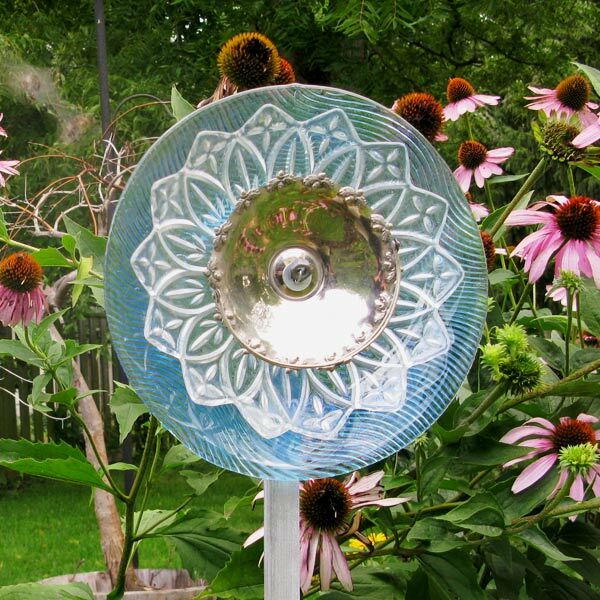 Love garden art flowers? 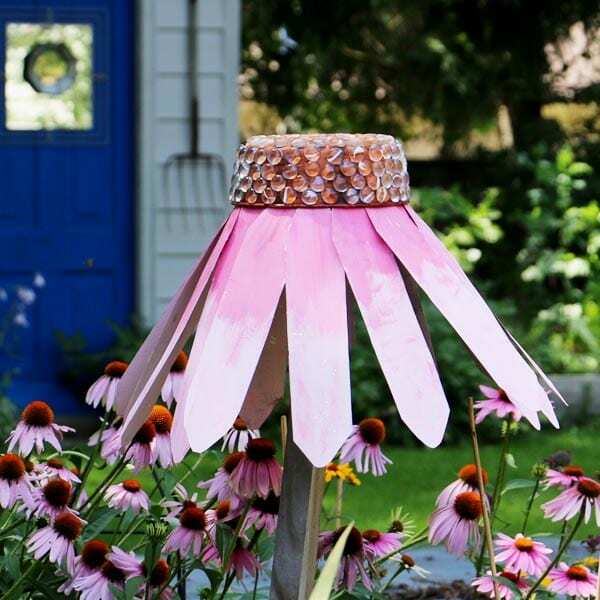 Put your garden in constant bloom with these thrifty DIY tutorials for making decorative outdoor flowers. 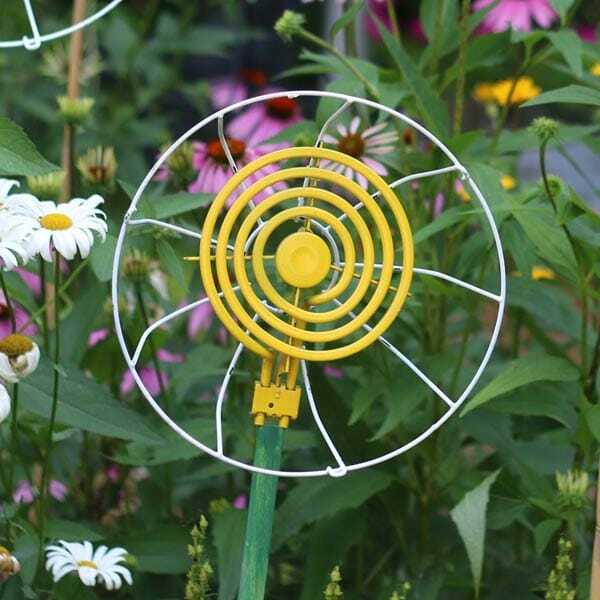 Got the garden art-making bug? 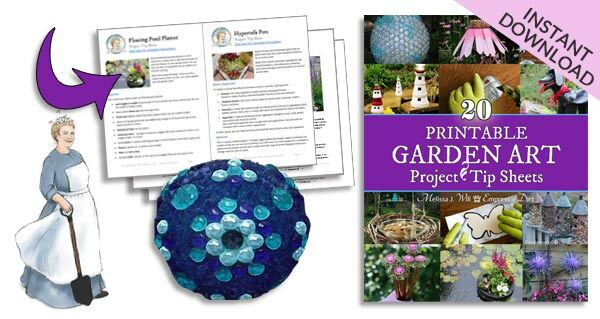 There are lots more creative outdoor projects here. 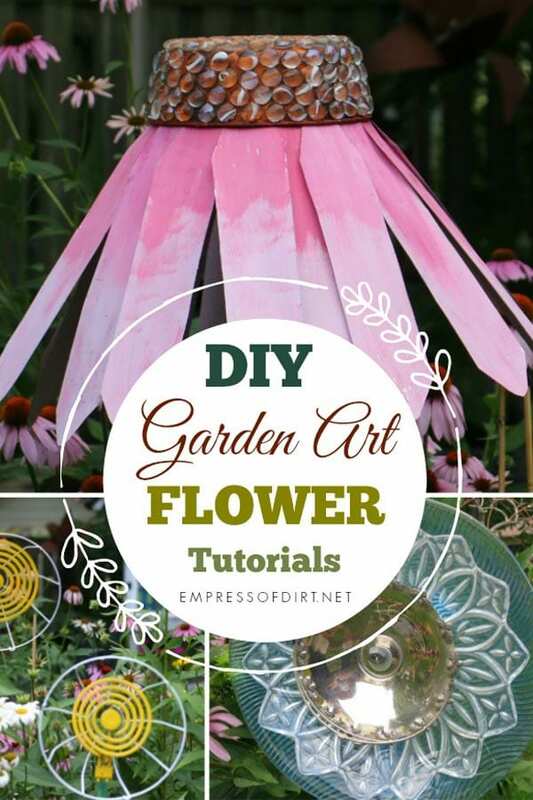 There are so many ways to make decorative garden art flowers. I am a flower fanatic and I’m gradually working my way through my very long list of favourites to make a garden art version of each one. Keep your eyes open for materials in thrift shops and on the curb on trash collection day. My favourite adhesive for outdoor projects is GE Silicone II. You can see it here on Amazon.com and read more about how it works here. There are free tutorials for all the projects shown here. 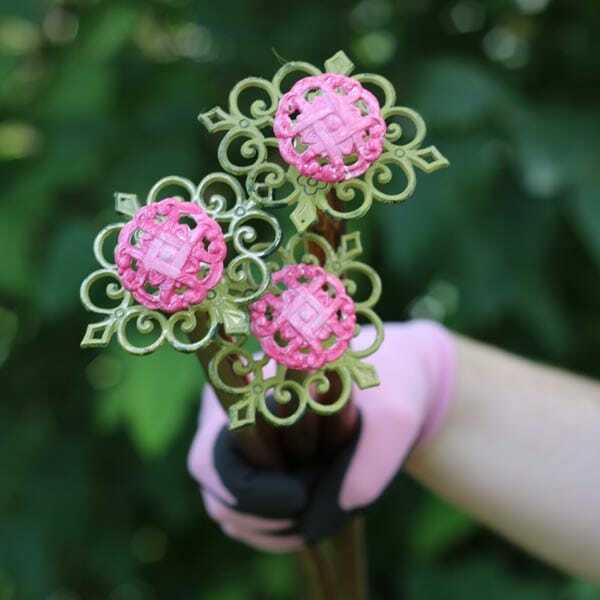 Want to buy garden art flowers? I’ve shared some of my favourites below. Grab some thrift shop drawer pulls to create these fun + functional hose guards. 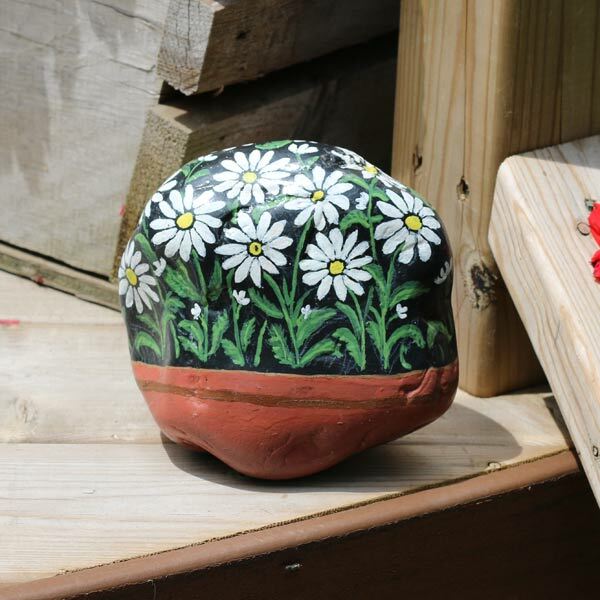 You can paint anything on rocks! The tutorial lists the art supplies needed for best results. Instructions include no-drilling required and how to drill through dishes. All you need is a roll of flexible metal from the home reno shop and thrift shop supplies. 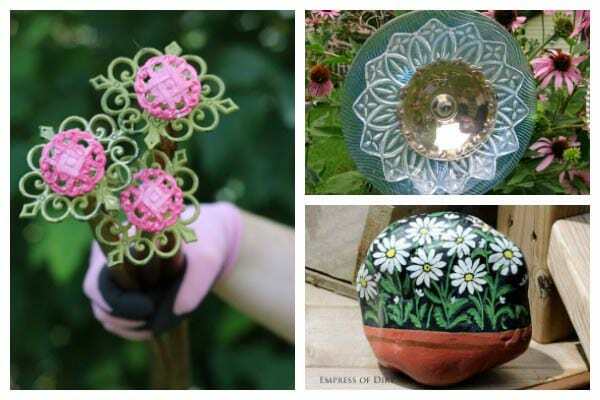 Create these favorite spring flowers from thrift shop finds. 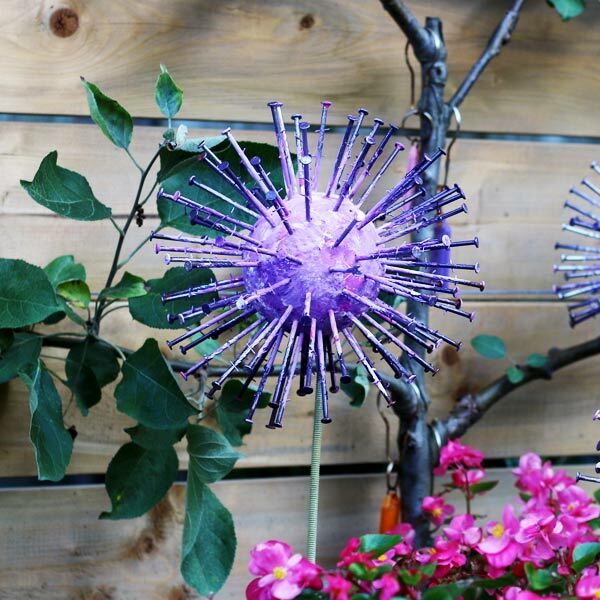 Super simple way to create funky garden art flowers. 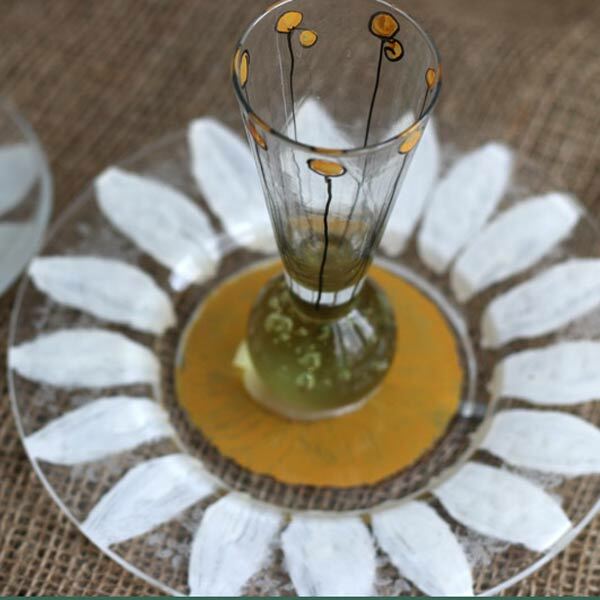 Make small-scale dish flowers from crystal serving dishes, pickle dishes, tiny vases, and shot glasses. 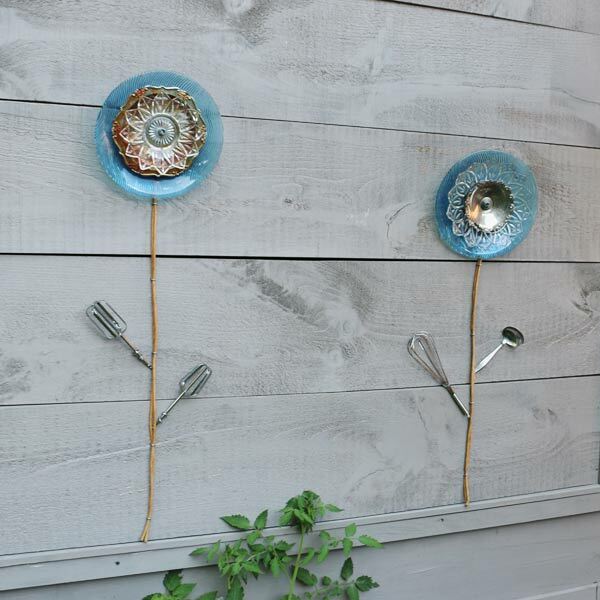 Accessorize your garden art flowers with items from your kitchen junk drawer. Want to buy ready-made flowers instead? Here’s some I like. 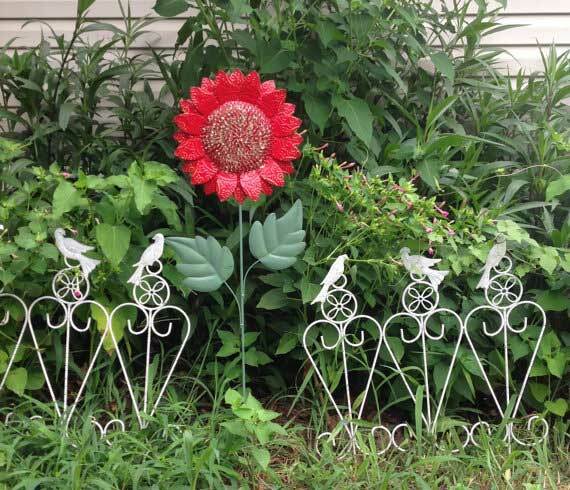 I found lots of creative garden art flowers on Etsy. Click on these next ones to see them at Amazon.com. Be sure to sign up for the free Empress of Dirt newsletter for more creative delivered right to your inbox.